The Michelin-starred 1217 serves up inventive and exciting dishes with a local influence. Indulge yourself with a steam in the Hammam followed by hot stone massages, mud wraps and eye masks- what more could you want? 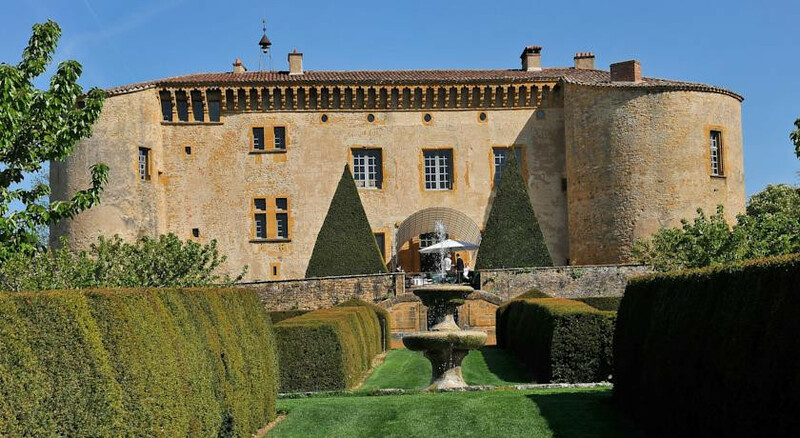 The French formal gardens, stunning views, couples spa treatments and fairytale interiors ooze romance and glamour. Children of all ages welcome and babysitting can be arranged. Cooking classes are available from the in-house world class chefs. Sit out on the fragrant terrace and enjoy the spectacular views while sipping on a glass of local wine. Explore this romantic and varied countryside on the free bicycles avaliable at reception. Head to Colombier Lake for some fishing. No need to bring your own, the Chateau has everything. Wander the hills, vales, vineyards and olive groves of this spectacular stretch of countryside. A luxurious base for exploring the vineyards in the area, ask the concierge for more details. Knock a few games out on the inhouse courts. The rooms are adorned with authentic 17th-century paintings.